My husband was feeling a bit adventurous this weekend, so he allowed me to choose a new restaurant to try out for dinner. 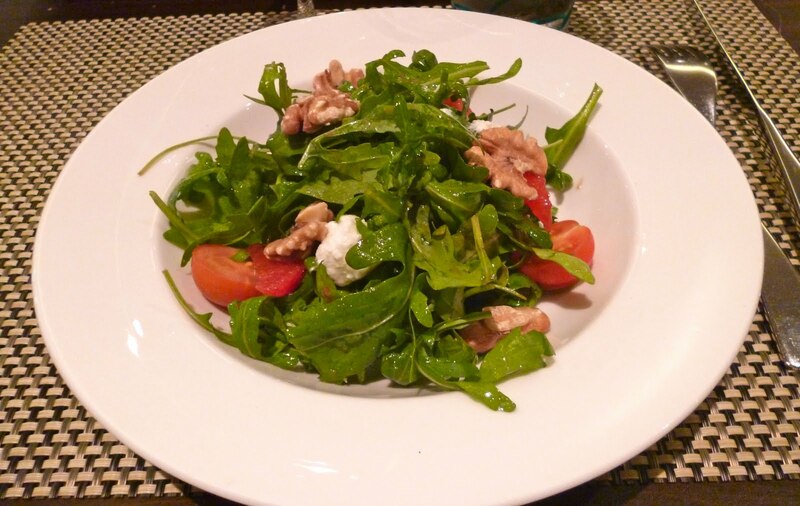 I decided to try out an Italian Restaurant at Hotel Fort Canning called Gattopardo Italian Grill & Pizzabar. I have read mixed reviews about this place so I wanted to try it out for myself. This was my first time to visit Hotel Fort Canning, and my husband and I liked the decor of the place. It was a classy, small hotel tucked away in the peaceful Fort Canning park. For starters, I had the Carpaccio di Polpo (SGD 28.00). 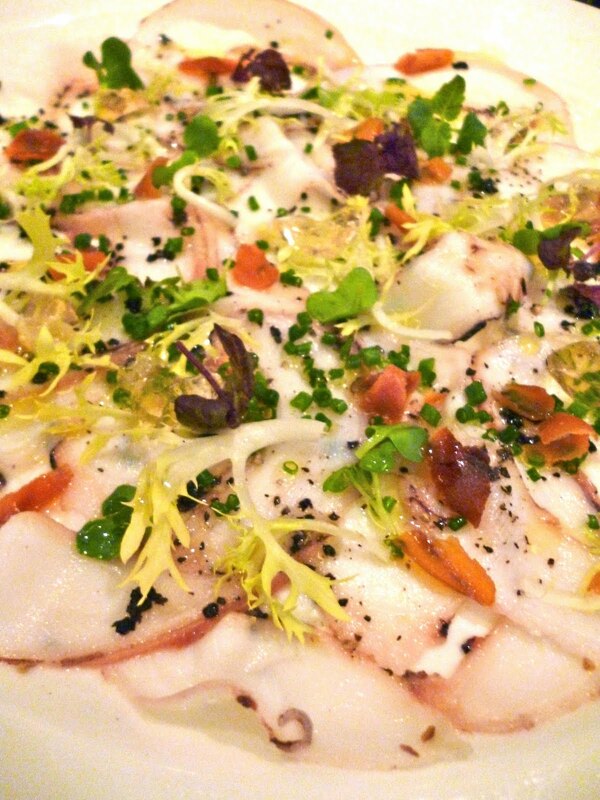 This is an Octopus Carpaccio with Apple Vinegar. I really liked this dish. The apple vinegar seasoned the octopus perfectly. I also liked the different colours on the plate which made it even more attractive. 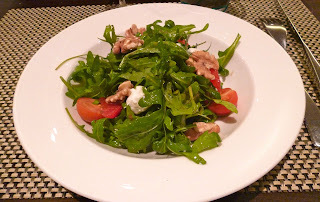 My husband had the Rucola (SGD 17.00). This is a Rocket Salad with Goat Cheese, Walnuts and Orange Peel. I had a taste of this, and I enjoyed the dressing they used with the crunchy rocket. My husband also commented that the goat cheese was very good. It was not too overpowering like the typical goat cheese. 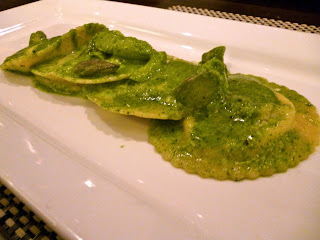 I had the Ravioli con Burrata e Crescione (SGD 28.00) for my main dish. It's a cheese ravioli with watercress and asparagus. This was a bit so-so to be honest. It was not bad, but it was the type of dish that could get tiring. And I did get tired of the flavor and could not finish the last piece of my ravioli. My husband also ordered the Filetto di Spigola (SGD 38.00). 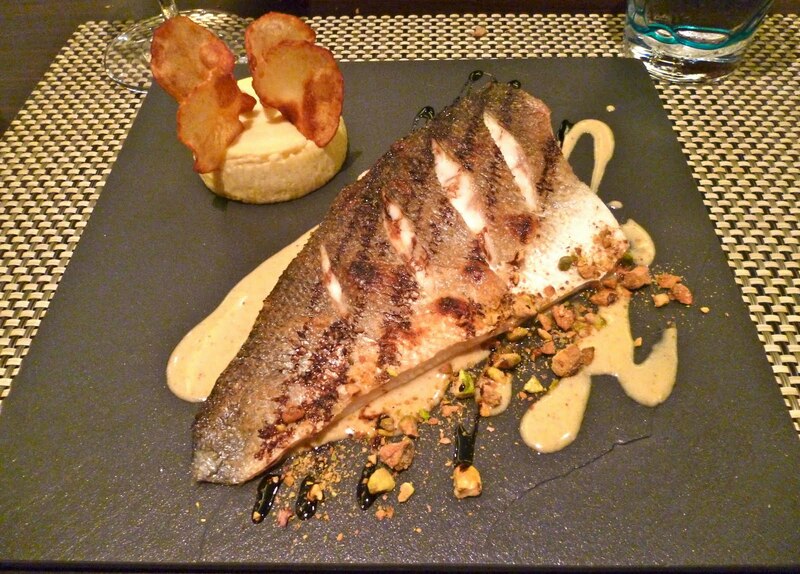 This is a broiled Mediterranean Sea Bass Fillet with Pistachio Sauce. 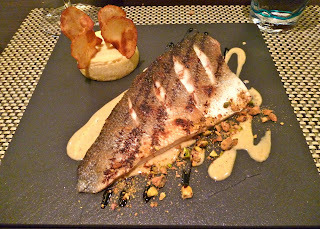 I had a taste of this, and I was impressed with the fish. They cooked it perfectly, and I like how they made the skin extra salty and crispy to give it more flavor and texture. My husband's only complaint was that the mousse served on the side (not really sure if this was potato?) was also salty, which did not go too well with the sea bass. This would have been perfect if they had served a simple mashed potato on the side. 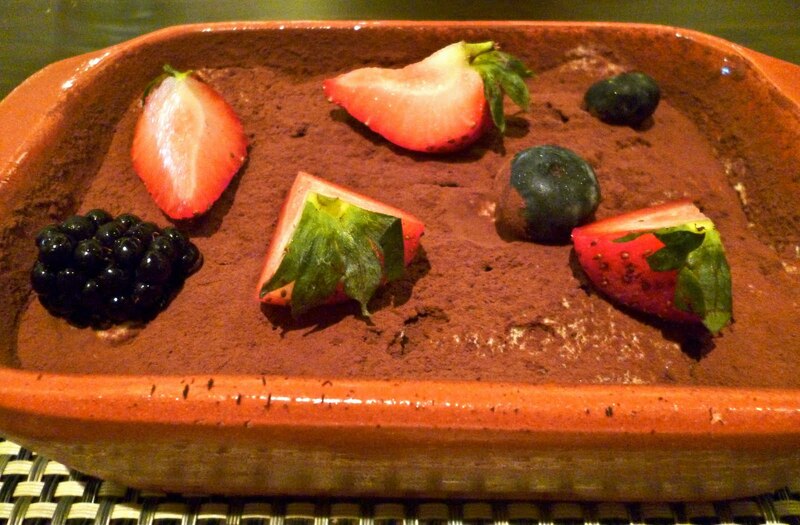 For dessert, we shared the Il Tiramisu (SGD 16.00). This was definitely the highlight of the evening -- I like how the dessert was not too sweet, and you could really taste the espresso powder. The dish looked extra pretty too with all the fresh berry toppings. Gattopardo was a pretty good new place to try out. I would recommend their seafood as they pride themselves with having fresh seafood flown in from the Mediterranean and Japan. Next time I'd like to try out their pizzas too as they have a proper stone fire stove, and the pizza orders on the tables surrounding us looked very appetizing. Thanks Carine! They have very good fish, similar to the ones we had in Australia.